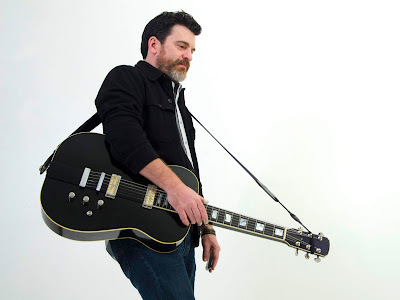 Jeff Plankenhorn may not ba a household name, yet, but you’ve surely heard of some of the artists whom he has been a guitarist. 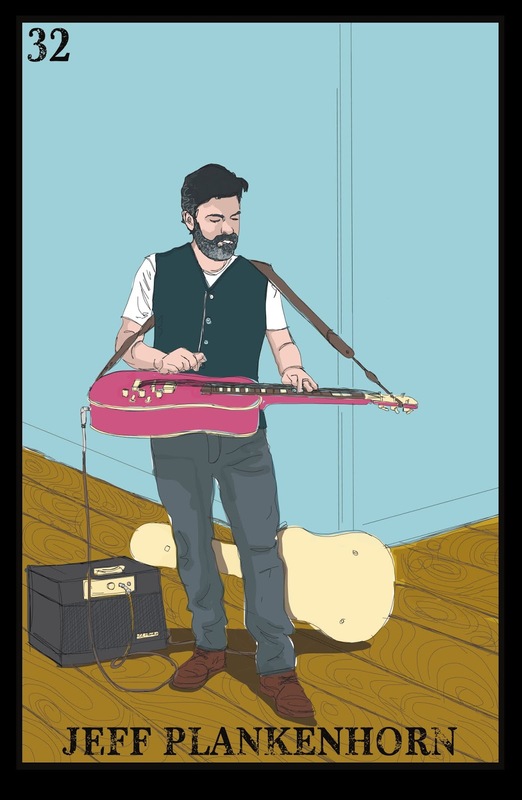 Joe Ely, Ray Wylie Hubbard, Ruthie Foster, Bob Schneider and Gavin Degraw have all hired Plankenhorn to bring his sideman expertise on the six-string to their bands over the last 20 years. In May of this year, Plankenhorn released Sleeping Dogs and, although it it technically his third solo album, it is the first-time in his career he is essentially stepping out from the shadows as a solo artist. In addition to being a stellar in-demand musician, he’s known for creating his own signature instrument - a dobro-meets-lap-steel guitar - that has been dubbed “The Plank.” In fact, in 2016, he released an album, Soulslide to feature and promote this instrument. Sean Claes: You are a transplanted Texas by way of Ohio and Nashville, Tennessee. I heard you moved to Austin through the urging of Ray Wylie Hubbard. Jeff Plankenhorn: Ray Wylie Hubbard and I met on the street in Memphis at a Folk Alliance back in 1998. A writer friend from Detroit named Thom Jurek was walking with Ray and introduced us, and that night I played a gig with Ray. I moved to Texas in January of 2000 at Ray’s request. I had been living in Nashville, and he suggested I come and visit and see what I thought. Claes: You’ve got a long history of playing sideman to such legends as Hubbard and Joe Ely. How did you connect with them? Plankenhorn: Almost every person I have played with over the years on record or live, has been about one ‘degree of separation’ from Ray. 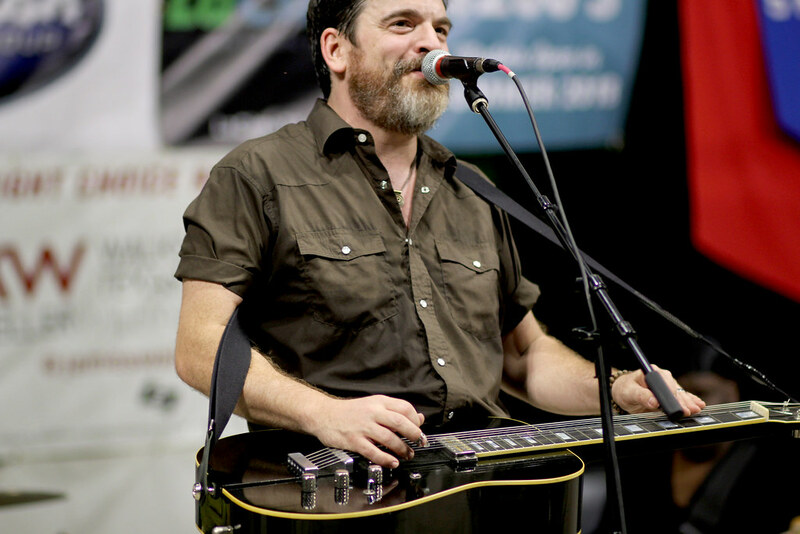 Whether it’s Joe Ely, Ruthie Foster, or Bob Schneider, I met them all through Ray and Ray encouraged me to play with them all. Claes: In May you released Sleeping Dogs, your third album after Plank (2003) and SoulSlide (2016). For the album you penned songs with Hubbard, Jon Dee Graham, Miles Zuniga and Gabe Rhodes. How did this album come about? Plankenhorn: The SoulSlide album was a vehicle for my signature guitar dubbed, “The Plank” by my friends in the Austin community. Sleeping Dogs is a chance for me to focus on the songs. I play a whole range of instruments from piano to bass to various guitars to “The Plank” and really used whatever the song called for. We started recording the album the day Tom Petty died, and I would say that changed everything. This somehow became a roots rock and americana album. Not by design as much as inspiration. Claes: For Sleeping Dogs, you’re stepping out from behind the side-man gig and taking stage as a solo artist. How has the transition from shadows to spotlight gone? Plankenhorn: The transition is harder than most think. It’s a whole different hat to don. Every single person I have played with has been encouraging. Not only did Ray Wylie sing and co-write with me on this record, but Ruthie Foster and Malford Milligan on the last. I’m writing with everyone from Gary Nicholson to David Grissom now. That’s pretty amazing to me. Seems like the only people who aren’t as hip to me turning into a ‘front person’ are the occasional bitter rock critic and a few booking agents and managers for the other acts I play with. I can take it. Claes: Your new single, “Tooth and Nail,” is a duet with Hubbard. Plankenhorn: I came to Ray with the idea of ‘Tooth and Nail’ and boy did he run with it. I wanted to write about “the grind.” I wanted to drop a line or two in about my influences from Hayes Carll to Jaimee Harris (and her right arm tattoo of Townes). I guess at first it was about touring, writing and being a musician. Claes: It definitely has that signature muddy bluesy stomp of a Hubbard tune. Plankenhorn: It turned into more than that and an unmistakably Ray song, with a few choice lines that I never could have written. When recording we had the track pretty much done and Ray came to the studio to check it out. I asked him to lay down a little greasy acoustic guitar and maybe a vocal or two, but it was five minutes into recording I knew it had to be a duet. Scrappy Jud Newcome’s bass line on that tune is so groovy, I think he may have been channeling his late friend George Reiff. Claes: The title track from Sleeping Dogs is a great. Can you give us a note of where you were and the headspace you were in when you wrote this one? Plankenhorn: I was inspired by the bass line to “Pressure Drop” by Toots and the Maytals. I wanted to write a song about all the things I don’t do, but wish I did. I wanted to sing about all the “Sleeping Dogs” I wanted to let lie - worrying about tomorrow, wearing my heart on my sleeve, gossip, etc. etc. etc. It worked, in that I feel great every night singing it... and when audiences sing along, that’s the real deal there. They get it, and they want to let it all go as much as I do. Claes: How does your writing process go? Plankenhorn: Every song is completely different. I wrote the beginnings to “I Don’t Know Anything” walking through the woods on Vancouver Island (British Columbia, Canada). I wrote the music to “Love Is Love.” Scrappy Jud, Miles Zuniga, and myself re-wrote “Holy Lightning” over another song’s chord changes literally in the studio. I co-write at my place and at friend’s home studios and kitchens. I write with a guitar, I write without, I write lyrics first, music first, but whatever works. It does not matter to me as long as you get a song you can get behind out of it! During your performance at Summer In The Park in San Marcos, you talked about the final track on Sleeping Dogs, “Heaven on Earth.” Can you share the meaning behind the song? I had a rhythm section booked for the studio for a day. It was two fellas I have been fortunate enough to play with for over ten years; Yoggie (Musgrove) and Brannen Temple. I only had one song ready to record, which is not the best move because in the studio time is most certainly money. So I wrote a song that morning before we went in, and I had a little iPhone recording of what sounded like a gospel instrumental to me. It really felt like a “Sacred Steel” kind of tune, a la Aubrey Ghent or The Campbell Brothers (huge influences on my lap slide playing and writing). I was driving home through the hill country listening to the rough mix, and I decided I would call it “Heaven On Earth.” It was a beautiful drive and I was feeling grateful for the journey of this new album. When I got home I struck up a conversation with my wife Donyne, who is a horticulturalist and arborist about her love of nature and how it had been influencing me in ways I never thought of. I grew up in a ‘steel town’ in Ohio and never had the reverence she had, until now. She began speaking of her favorite things in nature, and lyrics just started coming. The next morning I went in and sang over the instrumental, and the song was born. You never know when it’s gonna hit, but you better be ready when it does. 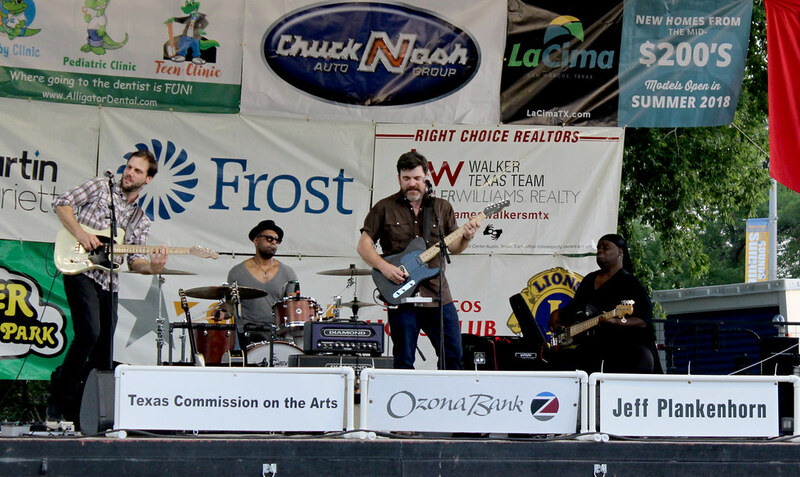 Claes: On July 27 you play the Continental Club in Austin at midnight and July 29 you play Gruene Hall in Gruene, Texas at 7p. What can folks expect at these shows? Plankenhorn: July 27th I’ll be partnering with Austin Pets Alive! (APA) and raising some money for them at the Continental Club gig. I really wanted my first gig at The Continental Club under my name to help a cause that I really believed in, and my dog Oscar who is featured on the album artwork and tshirts is from APA! Gruene Hall will be the last big gig before I finally get up to Canada and Vancouver Island to see my wife. I’ll have been on the road for 2 months on and off, so it will hopefully have some stellar guests and be a great end to 3 months of touring my new album. Dave Scher will be playing guitar with me and also will be doing the ‘tweener’ sets on acoustic. I’m very fortunate to have him playing with myself and Brannen Temple and Yoggie. July 5, 2018 - San Marcos, Texas Summer in the Park. Claes: What was the most memorable show you’ve played? Plankenhorn: All shows are memorable, I’m not just saying that. I played an incredible band show in San Marcos in the park to hundreds of folks, and then a few days later played to about 20 people for my first ever solo in Lubbock at The Blue Light Cantina. I truly loved them both. Playing with the musicians and songwriters I have over the years, it was instilled in me to give your best every night, no matter who is there. My favorite show? The next one. Claes: Having played with so many folks over the years, have any interesting road stories you can tell? Plankenhorn: Joe Ely once pulled off the road in Iowa to take me to the Surf Ballroom, the place where Buddy Holly was supposed to play the night his plane crashed, just because I had never seen it. They opened the doors for us. I am so in awe of the people I have played with and their generosity. Claes: Is there anything else you’d like to add? Plankenhorn: Yeah, having Patty Griffin graciously accept to sing on a song was a pretty big dream come true for me. Also, Scrappy Jud Newcomb being co-producer and playing so much and co-writing on this album was more than important, it was integral. He is absolutely brilliant, and I could not have made one of these songs come out the way they did without his guidance, grit, and soul. I would be remiss to not mention him in any interview having to do with this album. He’s a real guru, almost as much as Ray Wylie has been over the years. What can I say? Lucky to have cool friends. 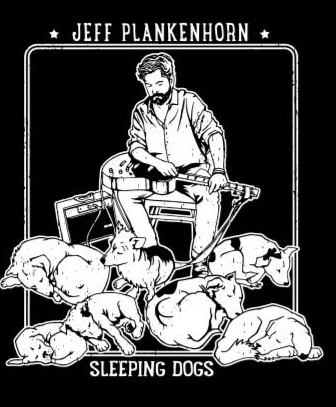 Learn more about Jeff Plankenhorn, pick up Sleeping Dogs or see where he’s playing next at his website jeffplankenhorn.com.